Kickstart your way back to fitness with a Mini Exercise Bike! 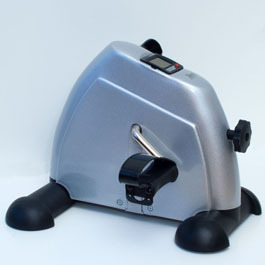 Choose from our range of 4 mini exercise bikes the one most appropriate to your needs. And best of all…The DeskCycle! 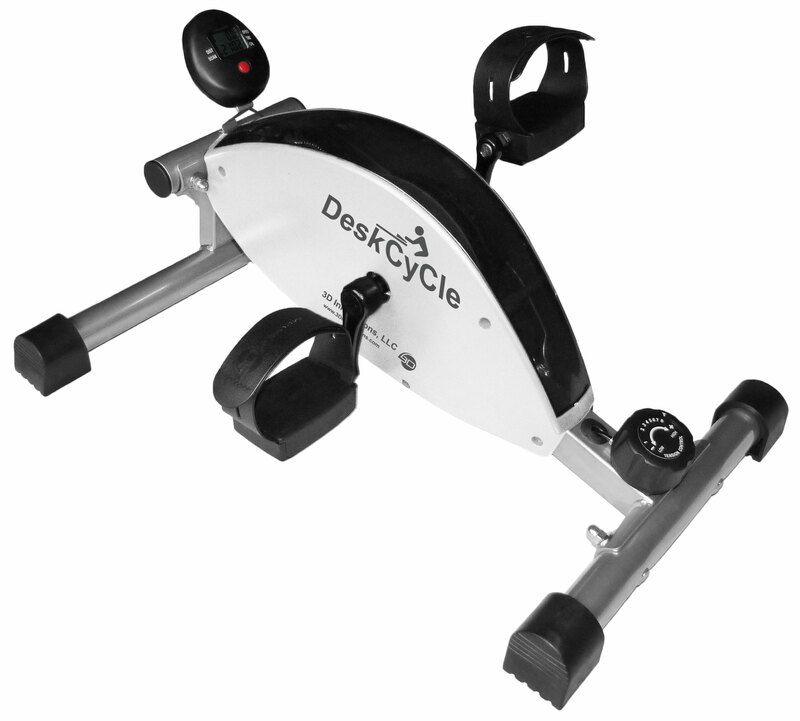 If you are reasonably healthy and are serious about maintaining your fitness, you should seriously consider getting our top-of-the-range DeskCycle Mini Exercise Bike. Not only is the cycle mechanism low down making it easy to use by even people with mobility problems but it is also super-smooth making it feel as if you are gliding on air! 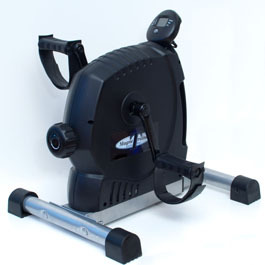 Add to this the fact that it has 8 fixed resistance positions, this is clearly a deluxe machine suitable for even the most serious fitness fanatic. Originally designed for office use under a desk ( – hence the name!) this is now our most popular machine for home use. Dimensions are Length 60cm, Width 51cm and Height 30cm. Weight 9.5kg. This is definitely our best machine yet and we are confident that you will be delighted with this machine. Even better, we have just reduced our prices too so that you can now get hold of one of these machines for just £156! (i) Prices include FREE delivery to addresses in England, Scotland and Wales. 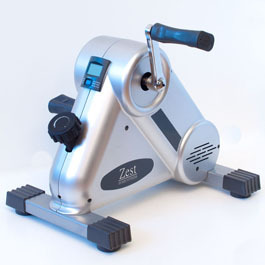 (ii) If you wish your purchase to be sent to Northern Ireland or overseas, please email us first at hello@zesthomefitness.com with details of the machine you wish to buy and your full address and we will email you with details of the additional cost of shipping to your address. (iii) Orders will be delivered within 3-5 working days. Please note that the energy to drive these machines is provided by you actively via the pedals.